How can you use Photoshop filters? All Photoshop filters are photo effects or settings that you can apply to change the way a photograph or design looks. This tutorial provides you with a foundation for working with Adobe Photoshop filter effects and download 30 free Photoshop filters to enhance photos right now. How to add filter in Photoshop? If you’re looking for useful Photoshop filters for wedding, holiday, baby, and portrait photography, you should definitely download these 30 free universal Photoshop plug-ins to make photos pop in several clicks. A perfect Photoshop filter for outdoor baby photo. Makes your photo brighter, correct white balance, and add warm tones in white areas. Together with several Photoshop brushes you can create a surreal dispersion effect. Perfect Photoshop filter for fashion studio photos. The most universal free Photoshop filter to remove yellow tints from your wedding photos. Makes abride’sdreespurelywhite. Add cool blue tones. A must-have filter for portrait photo editing to make teeth whiter in Photoshop. Get a Hollywood smile in several clicks. Highly recommended for winter photos taken in poor lighting conditions. Makes photos bright and sharp, remove greenish tints. You can use bonus Photoshop snow brushes to add falling snow and make it romantic. This double exposure Photoshop filter is not only easy to use but it will also make the effect look as if it’s done by a professional Photoshop user. Highly recommended for studio photos to make creative photo editing. This free Photoshop filter makes eyes colorful and voluminous. Good for close portrait photographs. Use this Photoshop filter if you need to add warm hues and contrast. Having download this photo editing freebie, you receive snow brushes to add magic to your photos. This filter works like a Photoshop brush and adds volume by brightening light areas. A perfect variant for the photos taken with flash. 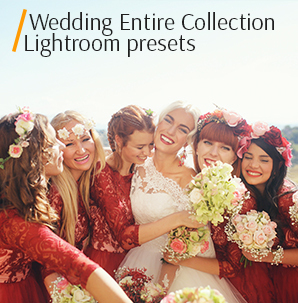 This wedding Photoshop filter is universal and brightens/adds contrast to your photos. You can use it for outdoor couple photos. It is a basic double expose effect in black and white. If you like dramatic photos, this filter is what you need! What about matte effects on your weeding images? Download this Photoshop plug-in for free and make all bride and groom’s photos look pop and sweet. This free action works like a Photoshop brush making portrait photos volume. 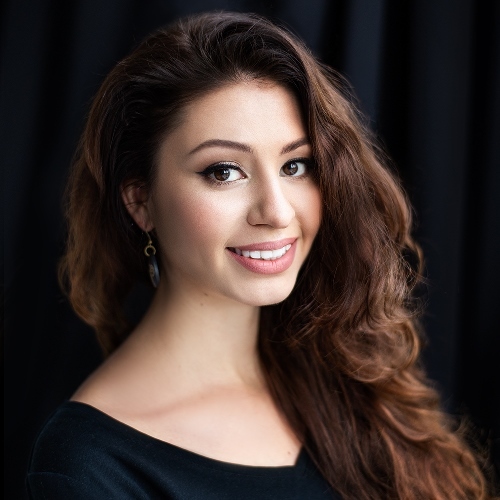 Highly recommended for close portraits with blurred background. Create this stylish double exposure with this free Photoshop action. It makes super easy to create double exposures in a variety of styles. Adds contrast and dark brown shades. A perfect choice for editing photos taken in the woods. This Photoshop filter replaces eye color to green. Nevertheless, you may always change to another color. Makes winter photossharper and saturated, adds warm shades. Snow brushes are attached. This Photoshop action adds cream shades and makes your wedding or portrait photo brighter. Whites become really white. This free Photoshop filter adds contrast and cool shades, removes redness. You can also use snow Photoshop brushes that are attached. Removes shades from white areas, adds contrast and brown shades. Snow brushes are attached to add a falling snow on the background. This action is of vital importance for those, who want to create an illusion of roughly cut-out pieces of bright paper. From my point of view, it is better to use it to produce the images in the style of Andy Warhol. You will notice photos with high contrast being transformed into silhouettes. At the same time, any colored picture will seem as it is built up from colorful paper. If you prefer to use a photo filter Photoshop to imitate different types of painting, you will really like this one. It adds an illusion of a piece of art created with a dry brush method. It’s something between oil and watercolor painting. Speaking of how it works, the action just simplifies a picture by reducing its range of colors. The most favorite filter in Photoshop for users who prefer grain. It adds a smooth pattern to the lighter parts of the photograph. I highly recommend it for monochrome images of high contrast. Applying this action, you can achieve an impressive atmosphere in a shot. Similar to the Dry Brush action, this Adobe Photoshop filter helps to create something similar to fresco. This style of painting art has become very widespread during the Renaissance. In the edited photo, you can see lots of little dabs, so it is darker than the first one. One of the most famous photography filters Photoshop will be helpful for colorizing a photo while softening it. This magnificent oil painting effect makes an ordinary photo look like a masterpiece of the World’s Art. Pay your attention to it, if you want to “save” your work. While reducing details, this filter adds an effect of a nicely painted canvas with a hidden texture. This modern filter makes a photo look like it consists of colored plastic with an uneven texture. It’s a bad idea to apply this action to portraits. You should use it with landscapes, cityscapes and pictures of different objects. It transforms a photo by adding monochrome highlight and dark shadows. 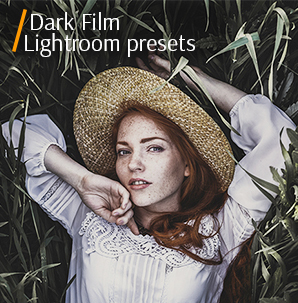 One of the most admirable Photoshop filters among modern photographers. This action reduces the number of colors and adds dark lines to the edges of pictures. It will be suitable for layout editing. If you wish to make a photograph look as if it was painted with rough strokes of pastel chalk on a textured background, you should apply this filter. You can notice that in the sections of intense color, the chalk appears thick with little texture, while in darker areas, it creates the rough texture. All filters mentioned in this review are created to help amateurs and inexperienced photographers to make their imagery look better. Using these actions, you will be able to master the complex photo editing only in several minutes. 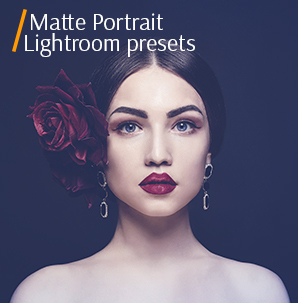 I encourage you to develop your artistic skills, built a professionally looking and diversified portfolio with these excellent filters that are available for all PS users. Read about 20 cheap and FREE Photoshop alternatives that has almost the same functions. How to install a filter and where to find it afterward? A number of plugins come with an installer with a step-by-step guide. What to do if the filters didn't show up? How to install them correctly? Actually, it is a piece of cake! Just paste the necessary file into the Plug-Ins folder. The folder with Photoshop plugins for photographers is usually found in Program Files if you have Windows. If it's a Mac computer, look in the Applications folder. In case you have chosen another location while installing the program, search for the folder there. Find Edit from the drop-down menu. Go to Preferences > Plugins. Check the "Additional Plugins Folder" box to approve new files. Download a filter or plugin to a computer. Open Program Files folder and find Photoshop folder. In the Photoshop folder, locate the Plugins folder and open it. Move a necessary plugin into the Plugins folder. Before you install new Photoshop filters, don't forget to close the program. With the new opening, the program registers the installed resources. Until you reopen Photoshop, you won't be able to use newly added filters. When you start the program anew, you can access the plugins in the Filter menu. Read this article about how to download Photoshop free legally, fast, and without lags and viruses. Where to Find Photo Filters in Photoshop? Users of the most popular photo editor have at least 3 variants of getting to the main menu of Photoshop filters. Firstly, you click on Filter>, after that select the Photoshop filter that you need. You will see the series of options with the newest ones and those you have already used. The newest ones are typically located at the bottom. Secondly, you click on Windows>Effects. Then, you will notice the panel on the right area of the monitor. Just click the button “Filters” to choose the needed type of free Photoshop filters. When you find the best choice for your image, you should click twice to use it. The final way is my favorite variant. As for me, it’s easy and convenient. The most important reason is that the user receives enough flexibility. So, he/she is able to choose several photo filters Photoshop, and even change their design. If you want to make the process faster, I advise you to resort to the gallery of Photoshop filter effects. This way, you will be able to examine previews of different popular and original effects. It’s simple to choose multiple filters, enable or disable a particular effect, alter the settings and do other corrections. In case, the preview looks appealing and suitable for your purposes, you are welcome to click and see how the effect transforms your photo. But you should remember that there are some free filters for Photoshop that you won’t be able to see in this menu. If you open the Gallery, you will see the option of editing. Click on it to add a selected filter to the list. How to Use Filters in Photoshop? There are 2 primary options for using Photoshop photography filters. The user is able to edit the entire layer or only a special area of it. Talking about ways of applying these effects, they are the mentioned gallery and a single dialog. A small part of the photo filters for Photoshop is available on the side menu. You can just select the name from the list and apply the effect. There is a certain sequence of actions that help me to work with Adobe Photoshop filters in a proper way. In the beginning, I transform the photo layer into a Smart Object. This is the earliest step, which helps me to protect the layer from altering. After using this plugin with the Smart Object tool, it transforms into a nondestructive Smart Filter. It’s an ordinary filter with a connection to a smart object, which is actually a virtual packet that protects the layer inside it. It can be applied not only to one layer but to several of them or to the whole photo. To do this, you need to click the "File" menu and select "Open as Smart Object". When it is necessary to create a Smart Object from a particular part of the layer, simply select it, open the main "Layer" menu, look for "Smart Object" submenu and afterward choose "Convert to Smart Object". It’s an interesting fact that during the conversion of a PDF document into an image in PS, the Smart Object is applied automatically. If you want to change the result, it would be a good idea to correct settings in the Layers panel. Mask off some areas of a Smart Filter without efforts. I really enjoy this useful option. As every layer has a special mask, the user is able to hide any section of a Photoshop filter effect in the picture by drawing on the mask. Switch on and switch off. You may remember that any stable Photoshop photo filter gives you a lasting effect, while a Smart Filter provides an easily changeable result. It’s not difficult to analyze the edited and raw photographs by switching the filter. Make experiments by implementing blending options to Smart Filters. There is an opportunity to connect a Smart Filter with a particular blend mode. As for me, this manipulation helps to discover some creative variants of using the Photoshop image filters. Take a break to change the Smart Filter's settings whenever you want. As filters of this type are quite varying, you won’t face any problems in a case you need to edit a Photoshop filter free. It doesn't matter whether you want to make an effect more eye-catching, or vice versa, softer. You'll need to do no more than two clicks. What Are Basic Photo Filters for Photoshop? Photoshop filters are also called plug-ins, you may freely install or delete them. Photoshop image filters are defined as separate specific sets of adjustments that are used to change photos. With such filters, you may apply artistic effects, enhance a picture using creative lighting effects or unbelievable distortions. Besides, you may simply perform basic photo retouching and improve image quality. The intensity of picture transformation depends on a type of filters and adjustments you select. Destructive Filters are for users, who appreciate outstanding and unimaginable photo effects. Among these free Photoshop filters, you can find brush strokes, lights, mosaics and textures. Bring in the distortion into a picture by applying cool photo effects with spheres, ripples and waves. Corrective Filters are aimed at the color adjustment, increasing the focus and sharpening of images and removing unnecessary elements such as lint or dust. Among these best Photoshop filters, you will find lens correction, blurring, rendering for lighting effects and noise elimination. When you need to change the shape of an object in a shot or create a 3D effect, these photo filters Photoshop will come in handy. Click on the Filter Gallery to look for the Ocean Ripple, Diffuse Glow and Glass filters. Remember that they might take up a decent amount of memory. Apply this filter for Photoshop when you need to put an emphasis on a particular area of a picture or to conceal the imperfections. A photo editor is likely to feature a blurring effect if a sharpening filter is available. The function of the filter is to diminish contrast amid the adjoining pixels in the selected area. Moreover, you are free to use it to develop artful effects. It can be found in the same menu as a sharpening filter. These filters are used mainly to create all sorts of 3D objects, for instance, geometrical shapes as cylinders, cubes or spheres. With the assistance of such Photoshop free filters, you will be able to add refraction and cloud patterns to a photo. In addition, you may produce light reflections by creating texture fills from grayscale files without any difficulties. If you need to eliminate noise in a shot, this filter Photoshop is spot-on. It is recommended to apply it to the pictures taken with high ISO settings. For your convenience, the filter comes with the function to add noise in order to achieve a grain effect in a photo. These are the most relevant Photoshop filters for portraits that are aimed at creating an artistic effect in a shot. Their function is to increase contrast and transport pixels within a selected area. When you need to highlight the edges, I advise you to apply the Trace Contour and Find Edges filters. The next step is to outline the edges of a necessary area with white or colorful lines by applying the Invert function. You may significantly improve the quality of a photo, as if it was taken with a professional lens, by applying this filter in a proper way. The Unsharp Masking filter is the most widespread one because it allows you to be considerably in control of a sharpening function. Thanks to this free filter for Photoshop, you may intensify the contrast along the edges. The main secret of successful sharpening is to reduce the over- and under-shoots that produce halos meanwhile keeping up the balance between emphasizing edges. Don’t have time to edit photo in Photoshop on your own? Address FixThePhoto, the best outsource image editing service for photographers. Affordable, fast, and of high quality photo manipulation services. These Photoshop filters are developed exclusively for video post production. Use them to eliminate moving elements or unnecessary lines. They are also suitable for such tasks as narrowing the color space to make it adequate for television reproduction and avoiding the bleeding of oversaturated colors across scan lines.